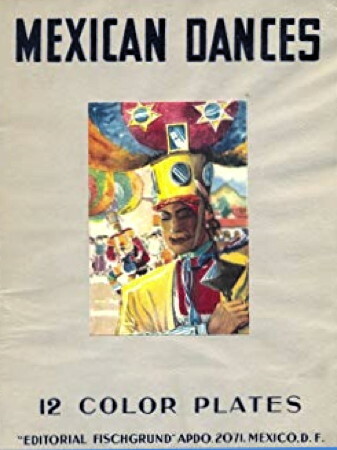 Mexican Dances, Editorial Fischgrund, Mexico D.F. Soft Cover. No date, circa 1940's to 1950's. Complete with 4 page printed pamphlet and 12 color plates. 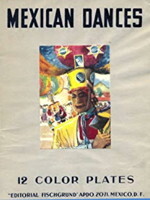 Loosely laid in to a brown cardstock folder with tipped-on color plate front cover.